Print the following page and use it to check off operations you have completed while performing the system setup according to the instructions in this chapter. Please make sure that you perform all of the operations in the order designated (all of the boxes should be checked), otherwise the service will not work. The checklist below assumes that you have already configured the basic SIP service according to the instructions provided in the earlier chapters. Add the rates you plan to charge your customers to the tariff for on-net outgoing SIP calls. 2. On the customer tariff’s panel for outgoing SIP calls, click Rates. · Destination – In this case there are two destination prefixes that you will use. VOICEONNENRX refers to all calls made to the same customer’s IP phones (calls within a single IP Centrex environment). VOICEONNET specifies calls made to any IP phone within a current virtual PortaBilling® environment. · The rest of the parameters are identical to those used when setting up the basic SIP service. 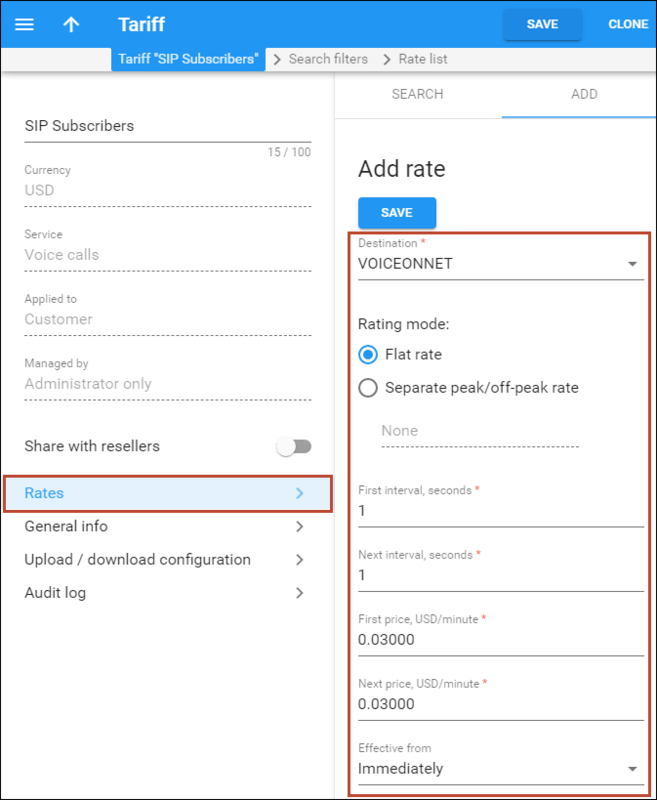 Add the rates you plan to charge your customers to the tariff for on-net incoming SIP calls. 2. 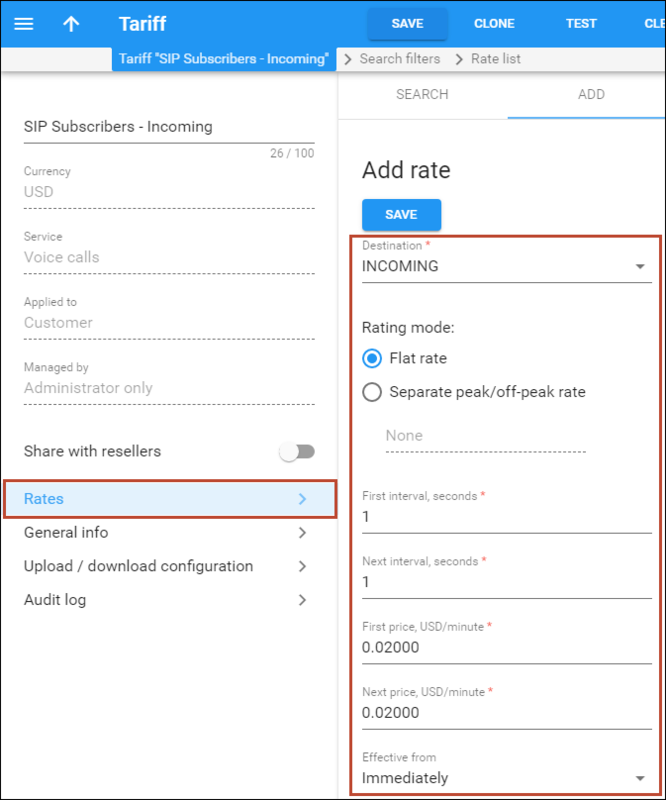 On the customer tariff’s panel for incoming SIP calls, click Rates. · Destination – In this case there are three destination prefixes that you will use. INCOMINGNRX refers to all calls made to the same customer’s IP phones (calls within a single IP Centrex environment). INCOMINGN specifies calls made to an IP phone within a current virtual PortaBilling® environment.INCOMING refers to all incoming calls from any destination – whether it comes from another IP phone or a cell phone / landline outside of the network.